Ratna Pathak was born and raised in Mumbai. She is the daughter of veteran theatre actress, Dina Pathak and her sister Supriya is an actress as well. She studied at J.B Vachha High School and the National School of Drama, Delhi. Ratna worked in theatre before making her film debut with Shyam Benegal`s Mandi in 1983 for which she won critical acclaim. She then acted in several Russian plays and co-founded the Motley Theatre Group along with her husband Naseeruddin Shah. Some of their well known plays, are Herman Wouk`s, The Caine Mutiny Court Martial and the adaptation of the epic play Julius Caesar in 1992. She also starred in films like Mirch Masala (1987) and The Perfect Murder (1988). Ratna then played the role of Maya Sarabhai in the hit comedy sitcom Sarabhai Vs Sarabhai (2005) for which she also won the ITA Award for Best Actress Comedy. She appeared in several successful films like Yun Hota Toh Kya Hota (2006), Jaane Tu... 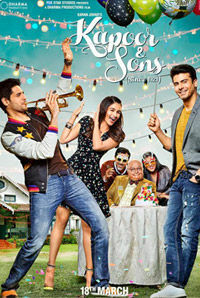 Ya Jaane Na (2008), Golmaal 3 (2009) and Ek Main aur Ekk Tu (2012). 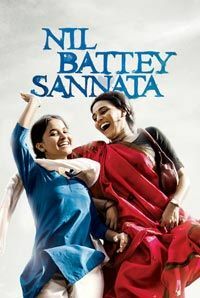 She was also seen in Khoobsurat (2014), Kapoor and Sons (2016) and Nil Battey Sannata (2016). Her 2017 release includes Lipstick Under My Burkha, which also features Konkona Sen Sharma, Aahana Kumra and Plabita Borthakur in pivotal roles. 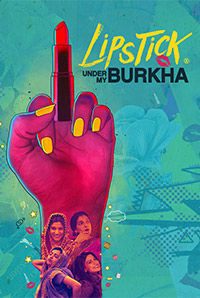 Ratna Pathak won the Best Actress Award at the Ottawa Indian Film Festival and the London Asian Film Festival for her performance in Lipstick Under My Burkha.